TSM was a league favourite for several seasons durings Doublelift’s tenure, but recently, the team has struggled. 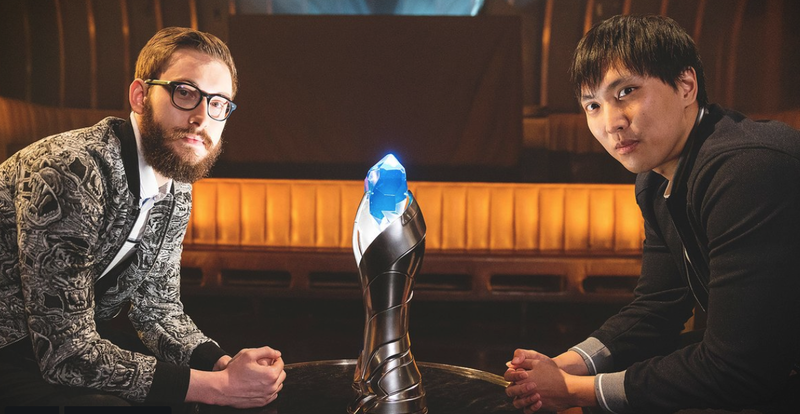 Team Liquid, Doublelift’s home since late 2017, won both the LCS Spring and Summer Splits last year, while TSM failed to even qualify for the 2018 World Championship, despite the prowess of Søren “Bjergsen” Bjerg, arguably one of the best mid-laners in the world. Team SoloMid almost missed its shot at this year’s NA LCS Spring title as well, dropping the first two games in its semi-finals series against Cloud9. Both matches didn’t even make it to the 30-minute mark. Then, against all odds, TSM managed to mount a three-game comeback, in large part due to incredible play by support player Andy “Smoothie” Ta and also Bjergsen, the latter of whom was awarded MVP of the series. Team Liquid will prevent an even bigger challenge than Cloud9 did, though, having finished the regular season in first place and making easy work of Team FlyQuest in the semifinals. It will all come down to whether Bjergsen can summon the same indomitable momentum that propelled him to outplay almost the entirety of Cloud9 in last week’s game three, or whether Team Liquid will be able to keep him contained by snuffing out any advantage elsewhere on the board. The best-of-five series begins on Sunday at 6:00AM AEST. The event will be streamed live on Riot’s Twitch channel. Watch to see if either a new day dawns in the NA LCS or Liquid’s reign continues. Elsewhere, Smash Bros. Ultimate players will be meeting up in SoCal for the 2GG: Prime Saga. It’s all in honour of the Metroid series, with some of the best Samus players in attendance, as well as Gavin “Tweek” Dempsey and the newest game’s other ascendant talent. Matches start with Squad Strike pools on Sunday at 3:00AM AEST and last all the way until 3:00PM AEST. On Monday, play resumes at the same time, with Top 8 slated to start at 9:00AM AEST. You can watch it all live on the 2GG Twitch channel. Watch for Eric “ESAM” Lew and Nairoby “Nairo” Quezada to pull out their Samus secondaries at some point during the festivities. Finally, the second week of the Spring Rocket League Championship Series gets underway this weekend. Matches start on Sunday at 5:00AM AEST for North America with G2 Esports vs. Rogue, and continue on Monday in Europe at 2:00AM AEST with FC Barcelona vs. Vitality. All the matches will be streaming on the Rocket League Twitch channel. It’s a great opportunity to discover what team speaks to you before the game’s Esports Shop goes live next week on April 16. Rocket League players will then be able to purchase skins to rep their favourite players, with part of the proceeds going to fund the teams and the Spring championship tournament prize pool.